Hidden amongst Fleet Street’s winding alleys is this characterful Georgian townhouse, the home of the renowned 18th century critic and writer, Dr Samuel Johnson. 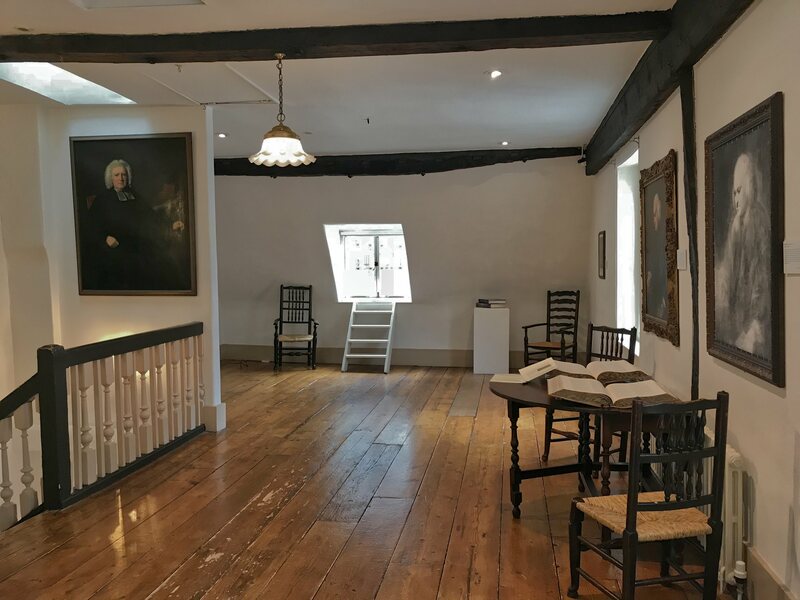 The great lexicographer lived here for a period of eleven years (c. 1748-1759), during which time he compiled his masterpiece, A Dictionary of the English Language. 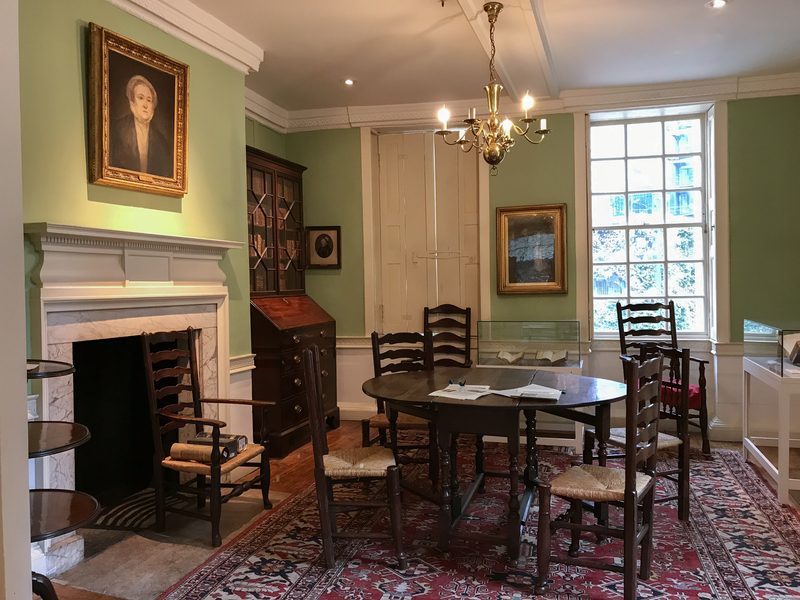 A bustling intellectual hub, Dr Johnson’s House resounded with the conversation of the era’s pioneering thinkers, writers, artists and actors. Here, discover some of the stories and curiosities the House has to offer. Born in Lichfield in 1709, Johnson’s early life was characterised by hardship. As an infant, he contracted the disease scrofula, which nearly left him blind in one eye; he later abandoned his studies at Oxford due to poverty; and his attempts to establish a school with his wife, Elizabeth Porter, quickly ended in failure. In 1737, accompanied by his wife and school pupil, the future theatre star David Garrick, Johnson walked to London to seek his fortune. 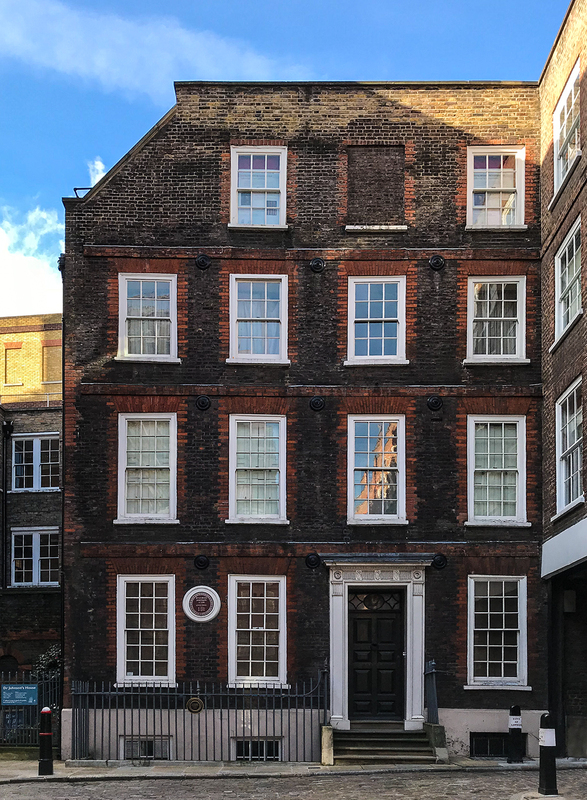 When Johnson moved into 17 Gough Square in around 1748, he was an established hack writer. He had written and edited articles for Edward Cave’s Gentleman’s Magazine (the first publication to use the term ‘magazine’), and his other works, such as the satirical poem London (1738), and his biography of the poet Richard Savage (1744), had been well-received. But, it was the publication of his Dictionary of the English Language (1755) that secured his fame. In 1746, a group of publishers commissioned Johnson to create a dictionary of the English language. 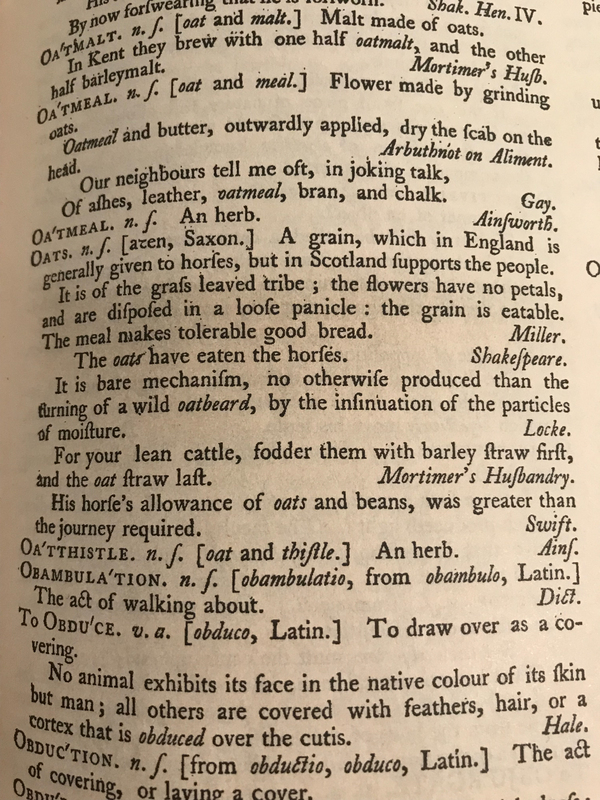 Existing dictionaries were lacking – the lexicographer Nathan Bailey’s bestselling Dictionarium Britannicum (1730) defined the word ‘dog’ as ‘an animal well-known – and Johnson was eager to rectify this. In his opinion, the English language was chaotic and confusing, and needed structure. For the next nine years, Johnson painstakingly compiled his Dictionary in the House’s Garret. When his masterpiece was published in 1755, it contained 42,773 definitions – all written by Johnson himself – and over 114,000 quotations from English literature, from writers including Milton and Shakespeare. Johnson’s work wasn’t an immediate success- at a cost of £4 and 10 shillings, few could afford to buy it – but it remains one of the most famous dictionaries in history. Writing the Dictionary may have been a solitary pursuit, but the rooms of 17 Gough Square were filled with guests, including writers, politicians and even murderers. Following the death of his wife in 1752, Johnson threw open his doors to friends, fearing that too much seclusion would send him insane. 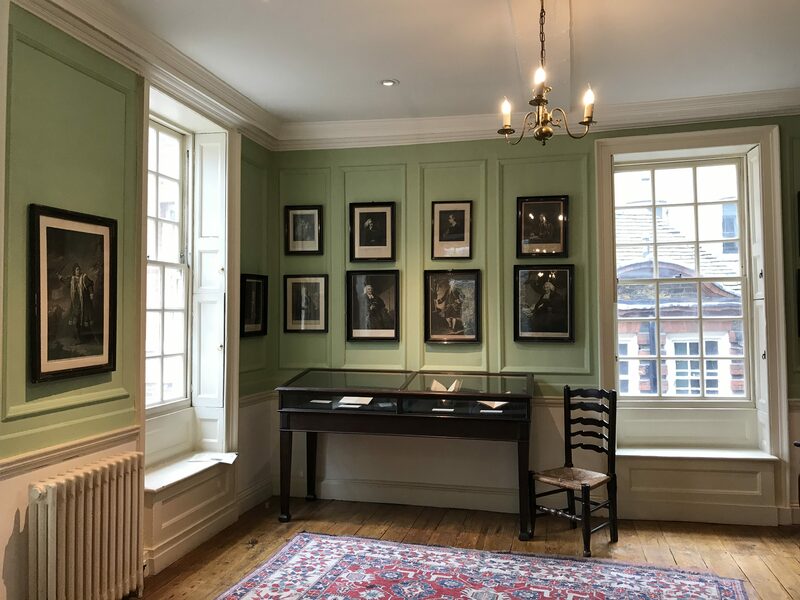 The House’s Withdrawing Room is hung with the portraits of Johnson’s male friends, which included the writer Oliver Goldsmith, Reverend Samuel Parr and the Italian literary critic, Giuseppe Baretti. Johnson also counted the painter, Sir Anthony Reynolds and politician, Henry Thrale among his close companions. The adjoining room is dedicated to Johnson’s female friends. Today complete with a table and chairs and a bookcase, the room was probably the bedroom of Johnson’s close friend, Anna Williams. Known for her ferocious temper, Williams lived with him for over thirty years, following an unsuccessful cataract operation. 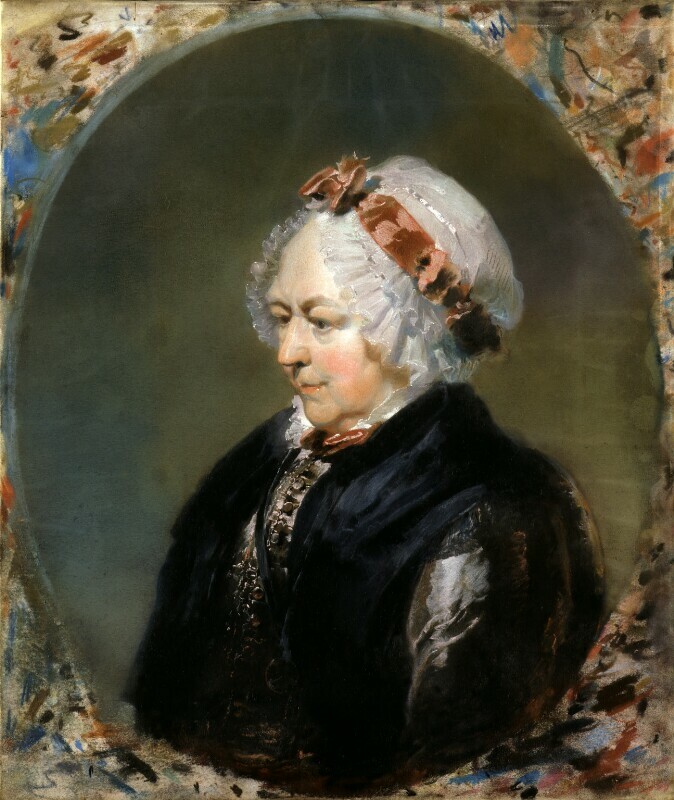 Unlike many of his contemporaries, Johnson championed female intellect, and surrounded himself with leading thinkers and writers, including Elizabeth Carter. Skilled in over nine languages, including Arabic, Hebrew, Latin and Greek, Carter was an esteemed classicist. 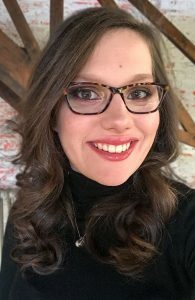 A member of the Bluestocking Circle – a leading group of female intellectuals – Carter achieved literary success with her translation of the complete works of the Greek philosopher, Epictetus. 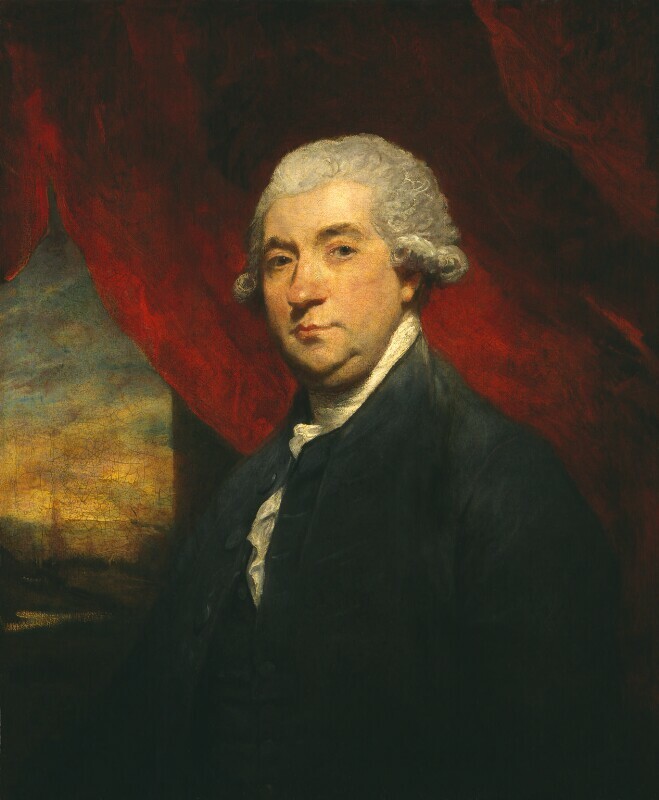 Two of Johnson’s closest companions included his servant and heir, Francis Barber and the great biographer James Boswell. A former slave, Barber spent his early years on a Jamaican sugar plantation, which was owned by Johnson’s close friend, Colonel Richard Bathurst. At the age of 10, Barber was sent to England as a companion for Johnson, who had lost his wife a few months previously. Barber and Johnson became lifelong friends: Johnson paid for Barber’s education at a grammar school, and later made him his heir. 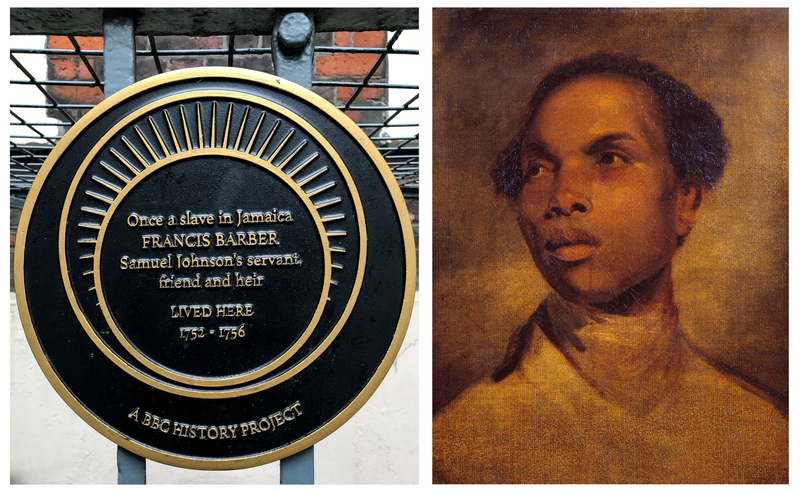 Believed to be Britain’s first black schoolmaster, Barber led a varied life, even serving in the British navy during the global conflict, The Seven Years’ War (1756-1763). Despite their uncertain start, Boswell and Johnson became close companions. In 1773, they embarked on a three month tour across the Highlands and Western Islands of Scotland, where Boswell began to record Johnson’s character. Boswell’s observations later formed the basis of his masterly biography, The Life of Samuel Johnson. Published in 1791, six years after Johnson’s death, The Life is filled with characterful anecdotes. 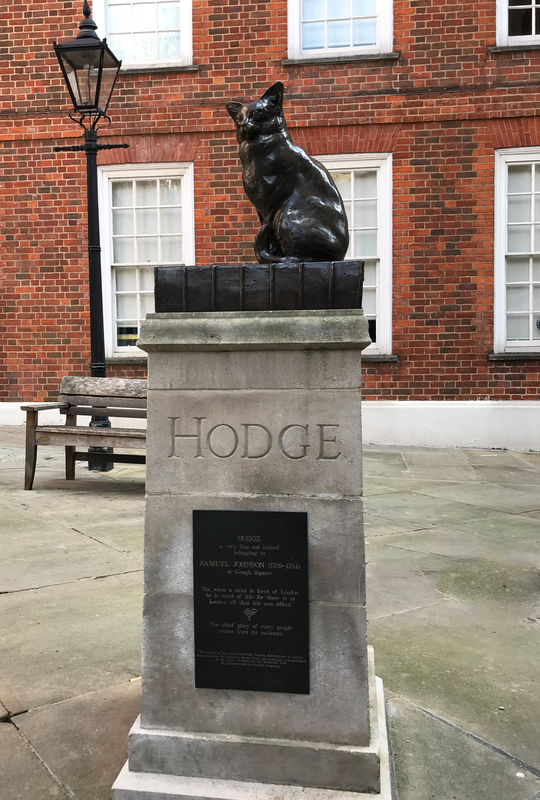 From stories of Johnson buying oysters for his cat, Hodge, to meetings with Edmund Burke, the work captures the lexicographer’s vivacity and idiosyncrasies. Widely considered to be one of the most famous biographies in the English language, Boswell’s work has remained ever popular, and remains in print to this day. 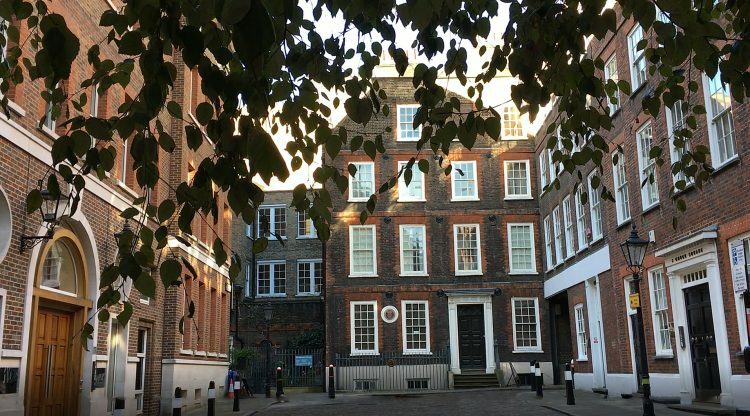 In 1759, Johnson moved out of 17 Gough Square to live in other dwellings across the city. Today, his house bears witness to the stories and friends that shaped his world. 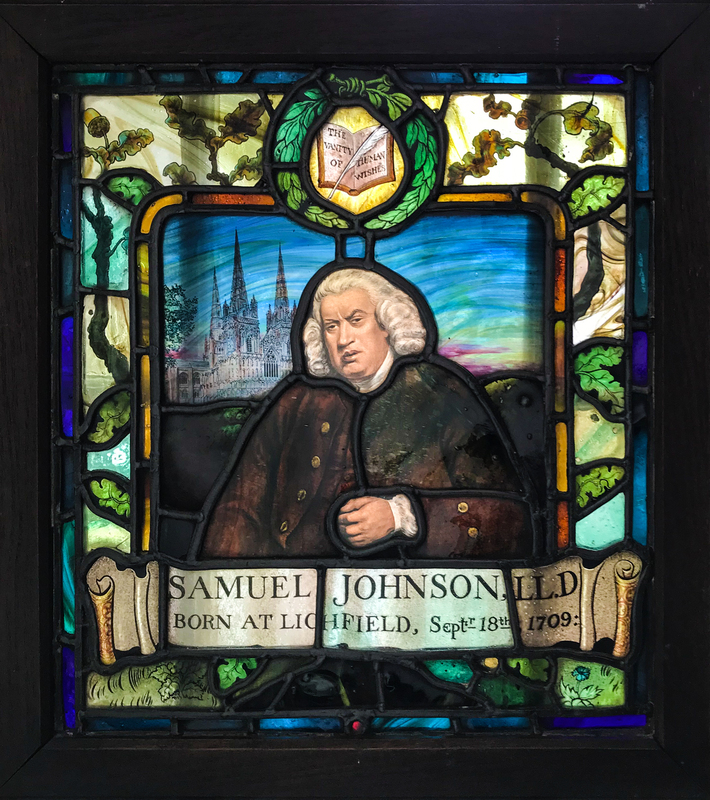 What a beautifully written and comprehensive overview of Dr Samuel Johnson’s life. I was particularly impressed by Miss Oliver’s choice of illustrations and the ease with which her sources could be accessed. This is a lively, readable and entertaining work of scholarship by a writer to look out for. More please Elizabeth Oliver! Thank you very much Norma for your kind words, it was a really fun piece to bring together!